This is a wonderful, enchanting little poem and just perfect for any Kindergarten graduation ceremony or celebration. The poem is even ideal for the whole class to recite to an audience on graduation day! This file has 16 pomes and songs that I use at the end of the school year for graduation and to say good-bye. I find that when I sing with the class about going to first grade the students feel less stress about going. It has been a good way for me to give some closure to the year. This poem is short and easy to memorize for adults and kids alike. With only 3 stanzas in a letter format, it can be used as part of a paper program or be performed easily by students. Feel free to change the wording to make it fit your specific needs. And most of all, have FUN with it!! I wrote this poem a few years ago for our kindergarten promotional exercise. The preview shows the first stanza. There are 5 stanzas int total. This poem is a hit every year at graduation. If you do use this poem, I ask that my name is mentioned as the author. 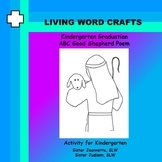 The ABCs of Kindergarten I used these letter poems in Kindergarten Graduation! They are a fun, cute way to review things learned in Kindergarten. I let each student memorize a letter and then say it at our ceremony. 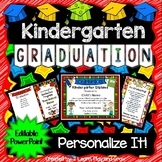 Kindergarten Graduation Cap, Diploma, & End of the Year Celebration Ideas! 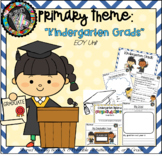 Kindergarten Graduation Certificates Bundle: Need a printable graduation certificate for your kindergarten classes this summer? 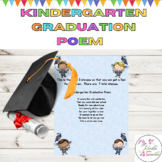 This packet contains 7 delightful choices of graduation certificates, complete with original poems, to print out for your each one of your students. 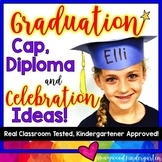 (And under "Preview,"
Click here to see this product included with 7 others in this fun, and money-saving Kindergarten Graduation Bundle! This original poem is a wonderful way to close out your school year! 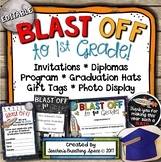 Practice with your class and then perform it at a ceremony, or simply include it in your end-of-the-year handouts!